We help doctors to keep track of patient data, the history of medical examinations and therapies in one App in order to handle all information in a more practical way. KEEP TRACK OF YOUR PATIENT DATA, THE HISTORY OF MEDICAL EXAMINATIONS AND THERAPIES IN ONE APP WITH MEDIC MEMO MEDICAL IPAD APP FOR iOS. MEDIC MEMO will let to use your iPad to manage electronic health records (EHR) with a single App simplifying your life. What is Medic Memo EHR Mobile about? 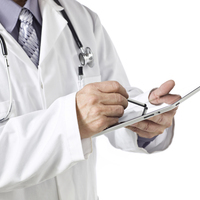 Collect all the information about your patients in a practical and efficient way. View all visitors and values on realtime interactive charts. Print in your WiFI network or send prescriptions to patients via e-mail. Organize and filter your patient by category. Keep track of the last performed actions and patient status. View your patient’s relevant information in one screen and add appointments, reminders and examinations. Keep all relevant information to manage of your patients such as personal info, insurance, type and contacts. Keep track of home therapies adopted by the patient and suspend or change drugs prescriptions in a quick an easy way. Create and display new prescriptions for your patients including medication and behavioral indications. Native iOS App EHR available for the last generation of iPad devices (from iPad2). Android OS will be supported soon. Native iOS App EHR soon available for last generation of iPhone devices (from iPhone6). Android OS will be supported soon. Medic Memo allows secure electronic health records data storage. All data are encrypted locally with the highest security level.